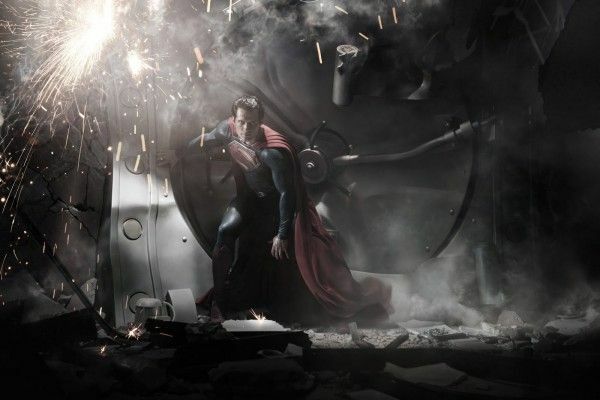 Some new set photos have surfaced for Zack Snyder’s Man of Steel. They’re not as revealing/exciting as the ones of Russell Crowe in his Jor-El costume that we reported on yesterday, but they do feature Henry Cavill doing his best hobo impression. Cavill is seen sporting a dirty beard in character as Clark Kent. It’s rainy, he’s wearing a jacket that would invoke sad Don Draper, and he’s interacting with a scraggly (but still cute) dog, so one can assume that Kent/Superman falls on some hard times during the course of the film. Hit the jump to check out the images. The film also stars Amy Adams, Michael Shannon, Kevin Costner, Diane Lane, Laurence Fishburne, Antje Traue, Harry Lennix, and Christopher Meloni. Man of Steel opens June 14th, 2013.